Well-defined Dy-doped ZnO rods were synthesized by hydrothermal route. Various studies were carried out on the synthesized rods like x-ray diffraction to confirm their hexagonal wurtzite structure; TEM, HRTEM and selected area electron diffraction to establish their rodlike structure; energy-dispersive x-ray spectroscopy analysis confirming appropriate substitution of dopant; UV-Vis spectra, which showed decrease in band gap with dopant concentration and photoluminescence study furnishing information regarding the presence of various types of defects. 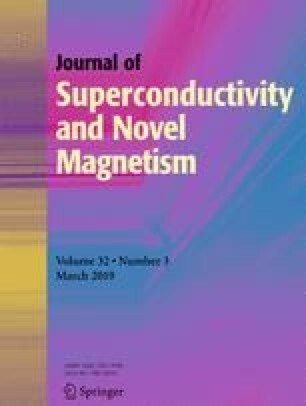 Further, magnetic studies were done using VSM to confirm roomtemperature ferromagnetic behaviour of both for undoped and doped ZnO rods and, the electrical studies were performed using four probe method, which confirmed that the ‘variation in resistivity with dopant concentration’ was related to crystallinity of the samples. UV-Vis spectra showed effect of dopant concentration on band gap and photoluminescence study confirms induced ferromagnetic behaviour due to Dy doping.